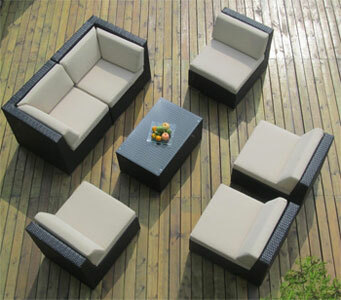 In Short: Ohana delivers great outdoor furniture sets. They are good-looking, well-made, durable, versatile and comfortable. Check out the reviews and you’ll see why people love them so much. Whether you want a sectional sofa on your deck, a conversation area with lots of chairs, or a lounge-type setup for an outdoor living room, this set can do it all. Move pieces apart or clip them securely together so that the sofa doesn’t slide apart (free clips included). The cushions even come with velcro to keep them in place. Not only that, but you get a choice of more than 10 colors for cushions, so you can really customize the look of your outdoor room. There is also a free cover that comes with this package, so the cushions and wicker frame will look newer for longer (bonus!). The sofa sections are constructed around a lightweight aluminum frame, so they are easier to move, which I like. That said, Ohana doesn’t skimp on size. You still get the super comfy deep seating. 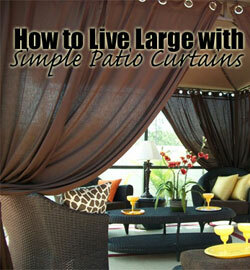 For example, the armless chair sections measure 26.5″ wide x 32″ deep x 28″ high. And don’t forget the coffee table that comes with it. 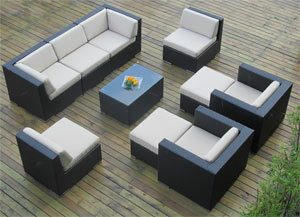 Many sectional sets don’t include this, so you are stuck having to find (and pay for) and extra piece of furniture to complete your outdoor room. 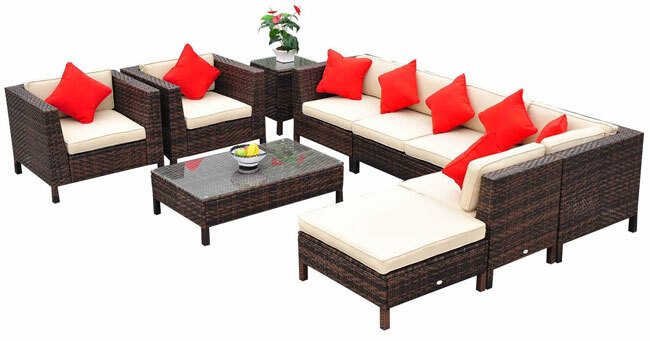 Outsunny makes a similar outdoor wicker furniture set, which also has cushioned deep seating, a lightweight aluminum frame and fasteners to keep the furniture pieces in place. The main differences from the Ohana above is that it comes with 9 pieces instead of 7, 8 throw pillows are included, 2 tables instead of 1 and two of the chairs have armrests. The furniture legs are also different. A possible drawback, however, is that you only get one choice of cushion color: off-white. 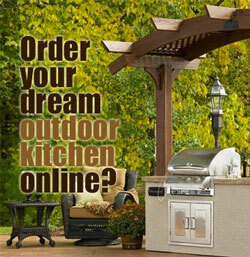 The first things to look at are  the space available and  what you want to use your furniture for. One of the big reasons that I am a fan of sectional sofa sets is that they can essentially be “dis-assembled” to easily meet the needs the activity of the moment. When positioned together as a sectional, they can actually fit more people than multiple chairs and sofas. If you are limited on space (but like to entertain), keep this in mind.